The American Legion relies on the generous support of corporations through sponsorships, cause-marketing intiatives and in-kind and philanthropic donations to further our mission. Since 2010, USAA has been a generous supporter of The American Legion, offering insurance, free financial advice, banking, investing and member discounts to Legion members. 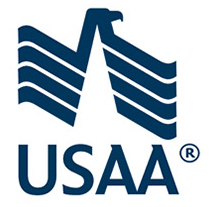 Since founding in 1922, USAA has been dedicated to helping those in the military and their families according to core programs including, American Legion Baseball, the National Convention, Legacy Run, American Legion Boys Nation and American Legion Charities. Baseball Factory is a sponsor and official player development and college recruiting affiliate for American Legion Baseball. They conduct over 600 events over 150 cities each year, providing development, education and training as well as help Legion players and parents learn more about baseball and the recruiting process. Baseball Factory also assists Departments to scout, organize and promote all-star events in their state. Diamond Baseball is a generous supporter of The American Legion All-Academic Team. Their support includes annual scholarships to nine American Legion Baseball Players who have been chosen to play for The American Legion All-Academic Team. Diamond Baseballs are the official baseball used for American Legion national tournaments. The largest handcrafter of Teddy Bears in North America, Vermont Teddy Bear has created a limited edition Legion BEAR that makes a thoughtful gift for a veteran or a meaningful keepsake for any Legion member or supporter. And the best part is, 20% of the proceeds from the sale of each BEAR will be donated to The American Legion. 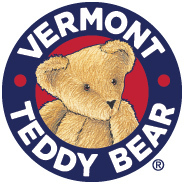 Orders can be placed by phone at 1.800.829.BEAR, where a friendly Bear Counselor® will assist with BEAR selection and personalization or online at www.VermontTeddyBear.com/Legion. Walgreens has joined forces with the U.S. Department of Veterans Affairs (VA) to provide enrolled VA patients flu shots. This program makes it easier than ever for veterans to stay healthy. Walgreens will safely send the information to a veterans’ VA health record- within the established requirements of the eHealth exchange. For more information on the program call 1-877-771-8537 or click here. To find the nearest Walgreens visit Walgreens.com/FindAStore. For more information contact Scott Miller at 317-630-1220 or smiller@legion.org.